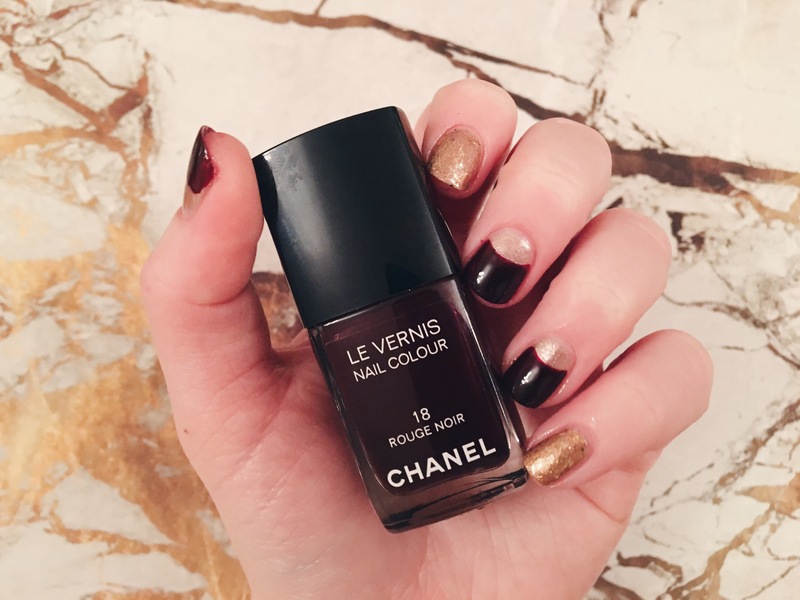 I’m absolutely obsessed with burgundy coloured nails at this time of year, although I’m using Chanel in this design (which I adore), my all time favourite burgundy nail polish is Nails Inc Victoria, so beautiful and long lasting! I also love the half moon nail design, it’s super simple to do and you don’t need any fancy nail art tools. Here I’ve used the Nails Inc Nail Kale Illuminator as my base since my nails have been quite dry due to the changeP in temperature, then OPI Glizerland, Chanel Rouge Noir and the Orly Snap Dry top coat. 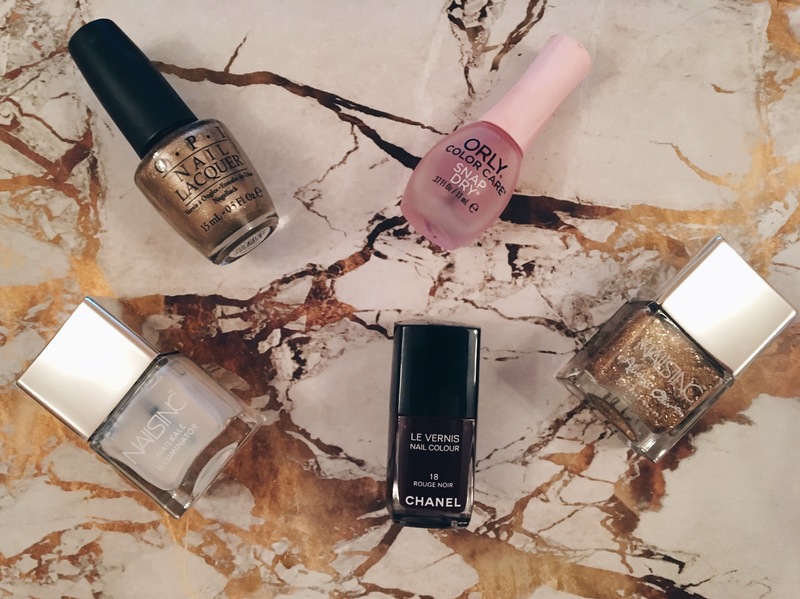 For the gold nails I used the OPI gold with the Nails Inc glitter from the Alice & Olivia collection. < Previous NARS Radiant Creamy Concealer VS Urban Decay Naked Skin Concealer: Which Is Best?